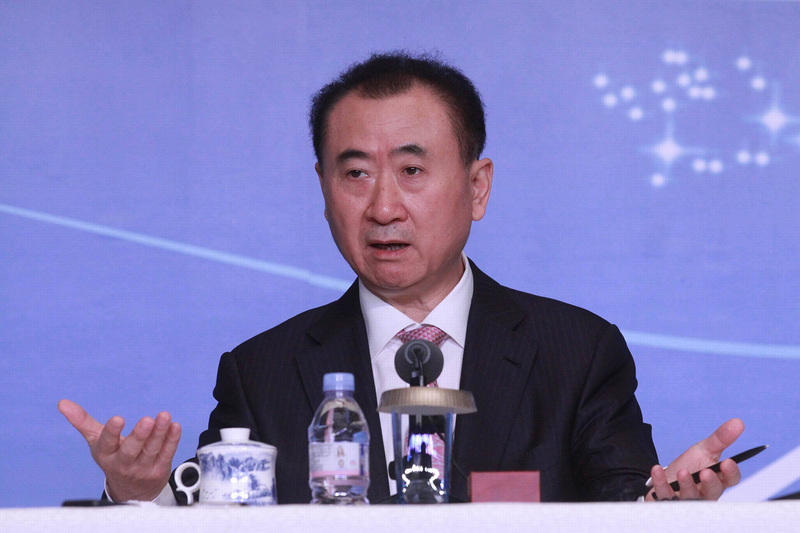 Wanda Group CEO Wang Jianlin at the grand opening of the Wanda Movie Park in Wuhan, Hubei province, December 20, 2014. In July 2017, Wanda sold off its theme park holdings to real estate rival Sunac for U.S.$9.3 billion, money it reportedly will use to pay off some of its debt. As China Reins in Capital, What Next for Global Trade? The crackdown stems from recent troubles in the Chinese political and economic system, manifested most clearly in the last two years. First, in 2016, China gradually tightened the rules governing outbound capital as a result of a downward slide in the renminbi exchange rate and a stagnant economic growth rate. Lacking domestic investment opportunities and measures to control housing prices, capital exited the mainland in increasingly high volumes, prompting Beijing to issue a series of measures to limit outbound investment. Nowadays, Chinese households and small businesses face many restrictions to sending money abroad, not only in their total amount, but also in “acceptable uses,” restrictions that exclude investment in property, among other things. In such a context, the large investments and headline-grabbing projects by the “Grey Rhino” tycoons became isolated and ever more glaring, and it was only a matter of time before they drew scrutiny. Second, China has entered a tense political season with the approach of the 19th Congress of the Chinese Communist Party, a period that has set off intense infighting among the Party elite. In this climate, economic mishaps can easily become someone’s excuse to bring down their enemies. In the past, there was plenty of public speculation that the tycoons were backed by a particular political force and that their investments were part of a scheme to launder money. A Chinese billionaire in exile, Guo Wengui, has fueled such speculation by airing on the Internet a series of juicy exposés involving China’s top leaders. Under such political circumstances, it is no wonder that financial backers of Chinese tycoons are backing away to avoid trouble, leaving them exposed. The impact of the crackdown on China’s overseas investment will soon unfold. Large, approved infrastructure projects will go ahead, but China will slow down its pace of overseas investment until Beijing feels that the financial system is sufficiently controlled. Outbound investment in real estate projects is particularly vulnerable to the crackdown and will likely lose further financial support. Purchasing of foreign brands also will slow down as such purchases are seen as expensive and often unprofitable in the short run. In the high-tech world, I expect the impact will be selective and temporary. One company caught by the financial trouble is LeECO, whose flamboyant founder Jia Yueting often compares himself with Elon Musk as an innovative thinker with ambition and investments spreading from electric cars to smart TVs and smart phones. Unlike the Grey Rhinos, Jia’s trouble didn’t start from the government crackdown, but rather with employees who were not paid regularly and private investors fearing he would abandon them. Besides Jia, there are no other major figures in hi-tech caught up in the crackdown. However, as capital controls tighten, free-spending Chinese investors in the high-tech world will also be reined in. One may see a reduced pace of mergers and acquisition by Chinese technology companies. For companies that focus on internal R&D or collaborative R&D with foreign companies (the vast majority of Chinese tech companies), reliance on China’s financial system is limited, so the impact of the crackdown won’t be major, nor will it be lasting. While the recent curbs on overseas investment by Chinese companies have taken many by surprise, they are consistent with longer-term efforts to reign in domestic leveraged buyouts by Chinese companies in particular and to tighten financial regulation in general. Outbound investment by Chinese companies was subject to regulatory approval on a case-by-case basis until 2014. After Beijing lifted these requirements, the volume of foreign mergers and acquisitions rose, accelerating after the surprising renminbi devaluation in August 2015 because companies expected a further depreciation of the Chinese currency. The year 2016 witnessed an unprecedented spike in outbound mergers and acquisitions, with Chinese companies announcing a total of almost $140 billion foreign deals in the first half of the year alone—a four-fold increase from the same period in the previous year. Reigning in such massive capital outflows to reduce downward pressure on the RMB and protect foreign exchange reserves was thus undoubtedly one reason for tightening the reigns on Dalian Wanda, Fosun, HNA, and Anbang. But there is a domestic story to the PBOC’s decision to cease providing foreign exchange on demand for large acquisitions, and it has to do with a larger regulatory crackdown on shadow banking and corporate leverage. Credit to the private non-financial sector in China has been rising much faster than the long-term trend in recent years. This so-called credit gap rose from 6.3 percent in 2011 to a peak of 28 percent in the second half of 2016, before leveling off this year. Worse, a considerable portion of corporate debt is provided by the shadow banking sector, a dizzying array of non-bank financial products and companies that engage in regulatory arbitrage. A recent hostile takeover attempt of Vanke, the nation’s largest developer, exemplifies the danger of leveraged buyouts for the economy. The market capitalization of the Baoneng Group is 200 times smaller than Vanke, but in 2015 the company was able to raise over 60 billion renminbi (U.S.$9.7 billion at the time) to buy a majority of Vanke’s shares. Baoneng financed this transaction not only by taking out bank loans, but also by selling short-term fixed income securities and other shadow banking products to circumvent regulatory rules and limits. Xi Jinping’s April announcement that “financial security is an important part of national security,” and his remarks at the recent National Financial Work Conference indicate that regulators can count on support from the highest level for further regulatory tightening. Outward foreign investment under the Belt and Road Initiative can nevertheless be expected to continue. Chinese regulators are likely to be more sympathetic towards investments in infrastructure and acquisitions of foreign companies that facilitate technology transfer than the football clubs, yacht makers, and luxury hotels that were the objects of Fosun & Co’s recent shopping spree.